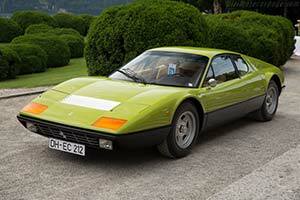 "This is one of the first Ferraris I ever saw close up The one I saw was dark green. I saw it at a Ferrari dealership in Jackson, Mississippi; of all places. To this day its one of my favorites, as much as the 250, and Testarosa. If I had the money and was in the market to buy a Ferrari, I'd be looking for a 365 or a 512."